Glaucoma is an optic neuropathy. No one knows how or why it happens. What we do know is that glaucoma causes the nerves that transmit impulses from the photoreceptors to the optic nerve to die. If a large portion of the nerve cells die your vision will be permanently damaged. We detect glaucoma by testing the structure and function of the optic nerve. The structure of the optic nerve is directly examined and measured with a laser scanner. The function of the optic nerve is assessed with a visual field test. The front of the eye has two clear structures that would not be clear if they contained blood vessels. However, these two structures need to receive oxygen and sugar like all tissues in the body. A clear fluid called aqueous is made behind the iris. Aqueous contains oxygen and sugar that it supplies to the lens and cornea before draining out through the angle. Within the angle is a filter called the trabecular meshwork that aqueous passes through. 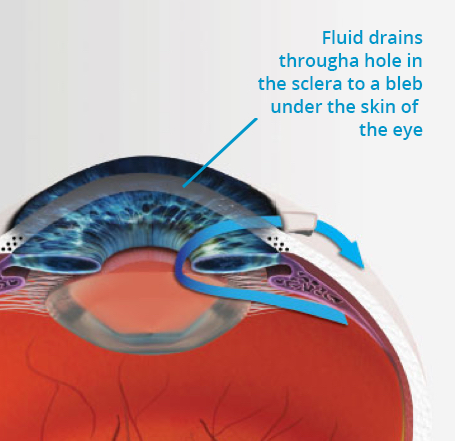 If the trabecular meshwork becomes blocked fluid cannot leave the eye and the pressure inside the eye can build up. Eye pressure, or intraocular pressure, called (IOP) has an important relationship with glaucoma, it is a risk factor for glaucoma. If you have high eye pressure you are more likely to get glaucoma than if your eye pressure is normal. Most people are aware that having a high blood pressure is a risk factor for having a heart attack. What you might not know is that we have to treat 125 people purpose of this adverbial phrase is unclear to prevent one person dying from a heart attack. The other 124 people were never going to have a heart attack or die from one casual tone. Treating everyone’s blood pressure is a good idea because it is hard to look at the heart and see who is going to die from a heart attack but with glaucoma we can see the optic nerve so we can be more circumspect about who we treat. Unlike the heart it is very easy to look at the optic nerve (the part of the body damaged in glaucoma). Because we can accurately assess the structure and the function of the optic nerve we don’t need to worry about risk factors. You either have glaucoma or you don’t. Your risk of having it is not important once the diagnosis is made. If you have glaucoma, reducing your eye pressure is the only way we can slow the progression of your glaucoma and stop you from losing vision. Fortunately for most people with glaucoma it can be controlled by lowering the eye pressure and vision can be preserved for many years. To control your glaucoma, we need to find a pressure at which your glaucoma is stable. The absolute number of that pressure varies for everyone and is not important. What is important is that your optic nerve stays healthy. If your IOP is too high it may increase your risk of developing glaucoma in the future. 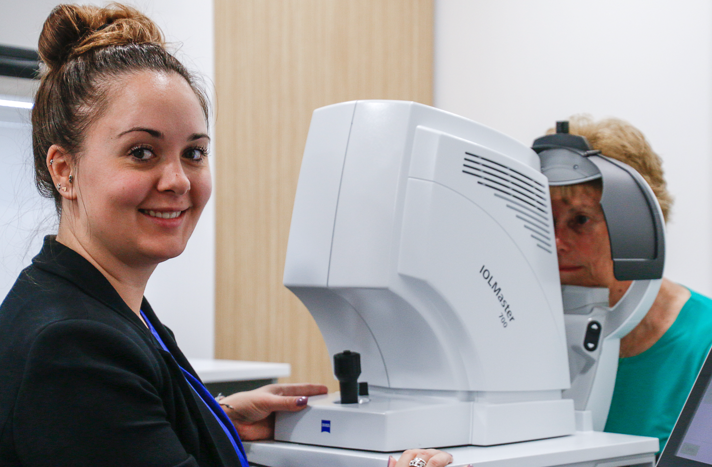 We can undertake various tests to work out how likely you are to develop glaucoma if your pressure is left untreated. The most important test for determining your likelihood of getting glaucoma is the thickness of your central cornea (CCT). For people with a higher than normal IOP (>21) your chance of getting glaucoma in 5 years is about 10%, that is there is a 90% chance you still won’t have glaucoma in 5 years. 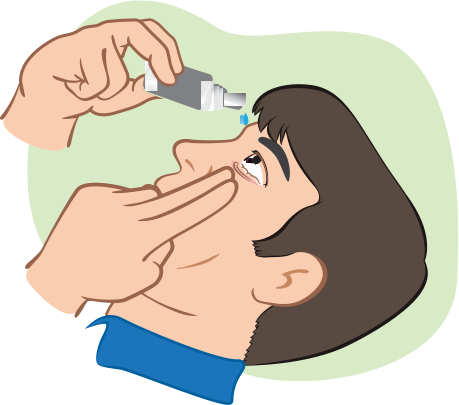 If your cornea is thick this drops to about 3%; however, if you have a thin cornea your chance of getting glaucoma is 1 in 3. Glaucoma takes a long time to cause a visual problem, normally 10- 20 years, so developing early glaucoma in your 80’s is probably not a bad thing, although you should still get it treated. For this reason, we look at your IOP your CCT and your age to see if your pressure needs to be treated. Anyone with a very high IOP (>32) should have it treated as this risk of glaucoma may be higher at these very high pressures. There are different types of glaucoma. The main division is between open and closed angle glaucoma. If the angle is open and there is no obvious secondary cause for the high pressure we call it Primary Open Angle Glaucoma (POAG), the most common form of glaucoma in Australia. Glaucoma may occur with either high or low eye pressure. when the pressure is high it is likely that high pressure is damaging the optic nerve. when the pressure is low it is more likely that poor blood flow to the optic nerve is the cause. Glaucoma cannot be cured but we can control the disease by lowering the pressure in your eye. Lowering the pressure is the only treatment, even if you have the low-pressure variety. Laser: lowering pressure with laser is a safe and cost-effective option that avoids the need to be constantly worrying about drops. Minimally invasive surgery: is an excellent option that is generally combined with cataract surgery to prevent the need for drops. Incisional Surgery: is generally used as a last resort. There is no magical IOP that stops glaucoma. Rather we need to find a pressure that is safe for you. This is the pressure that is achieved with the least invasive treatment that halts progression of your disease. Glaucoma refers to a group of disorders related to damage to the optic nerve and elevated pressure in the eye. 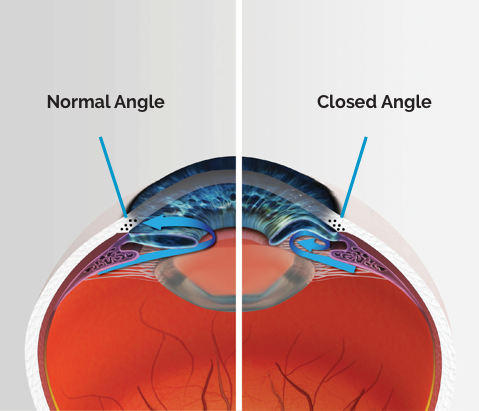 Glaucoma is divided into open (normal) angle or angle closure. Chronic damage to the drainage pathway. The underlying problem in angle closure is the position of the lens and iris. The lens continues to grow with age, pushing the iris further forward. In contrast to open (normal) angle glaucoma, the treatment of angle closure is not primarily related to lowering the pressure with laser or drops. Treatment is mainly directed to correcting the abnormal anatomy at the front of the eye. 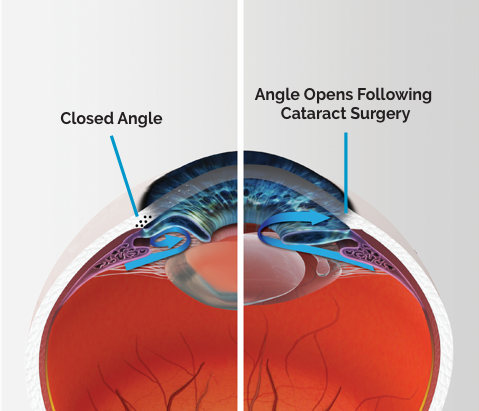 The definitive treatment for angle closure is to remove the bulky natural lens and insert a flat artificial lens. This is an easy decision if a cataract is present. However, in the absence of cataract, the very small risk of surgery becomes a consideration. If there is no cataract, then the best course of action may be to perform a laser treatment, which makes a small hole in the periphery of the iris. 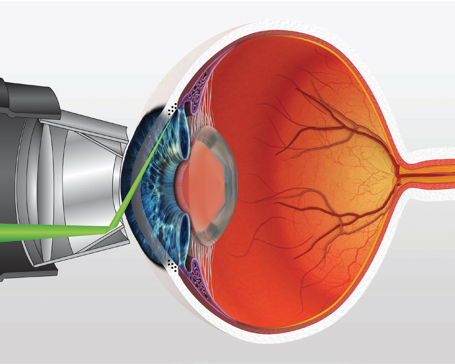 The laser allows fluid to bypass the region of relative obstruction where the iris contacts the lens. 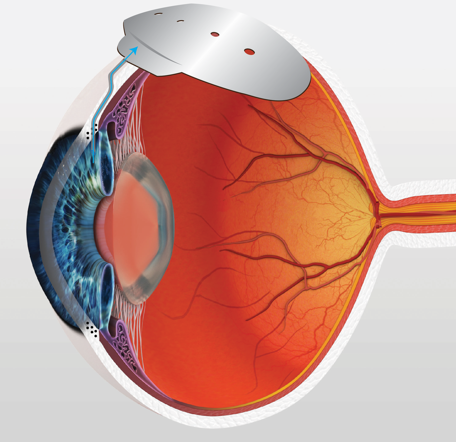 The iris can fall back to its natural position, and this stops it from obstructing or contacting the drainage pathway. Laser PI does not lower the pressure. Laser PI gives excellent protection from acute angle closure, which is a potentially blinding complication of angle closure. There is no way to restore vision lost to glaucoma. The disease cannot be cured, but in the vast majority of cases glaucoma can be successfully managed. With modern glaucoma treatment, loss of functional vision is rare. We now know that glaucoma patients never perceive the world through tunnel vision as falsely depicted in the image here. For many patients, the first and only impact of glaucoma on their quality of life is that they no longer meet the requirements to hold a driverʼs licence. Treatment goals need to keep this in mind. 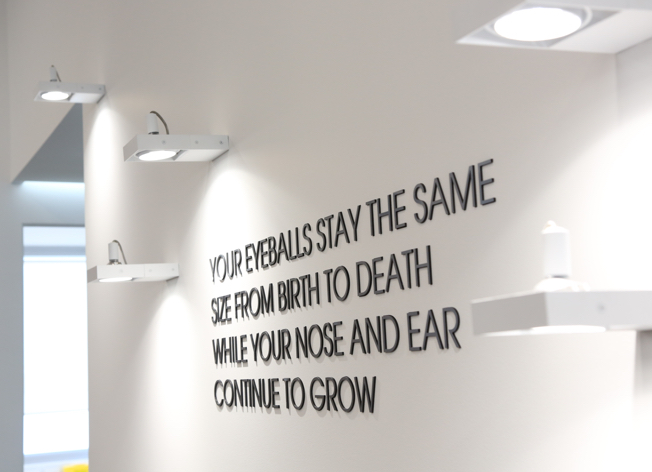 Patients never perceive their vision in this way. Drops have traditionally been the most common treatment option. However, many modern clinicians are recommending that their patients try laser and cataract plus surgery in preference to drops. Drainage surgery should still be reserved for patients who cannot control their disease with laser and drops, and for whom cataract plus surgery is not indicated. Taking drops can be a significant financial cost and toll on your lifestyle. It is important to be sure the treatment is not worse than the disease. If taking drops for glaucoma is the best treatment for you, then take your drops! Poor compliance with drop-taking is a common cause of treatment failure and the subsequent need for surgery. Our practice nurse will go through a number of drop-taking techniques with you to find one the works for you. All surgery carries risks, and is reserved for patients with a high risk of vision loss or when laser and drops have not worked. Drops are expensive and can cause side effects such as ocular irritation and red eye. There is also the inconvenience of having to get scripts and remembering to take your drops. Laser is a safe, painless and cost-effective way of controlling your pressure without the need for drops or the risks of surgery. Selective laser trabeculoplasty is a safe procedure performed right here in the consulting rooms at MCES. It generally takes no more than 10 minutes, and most patients feel no pain. 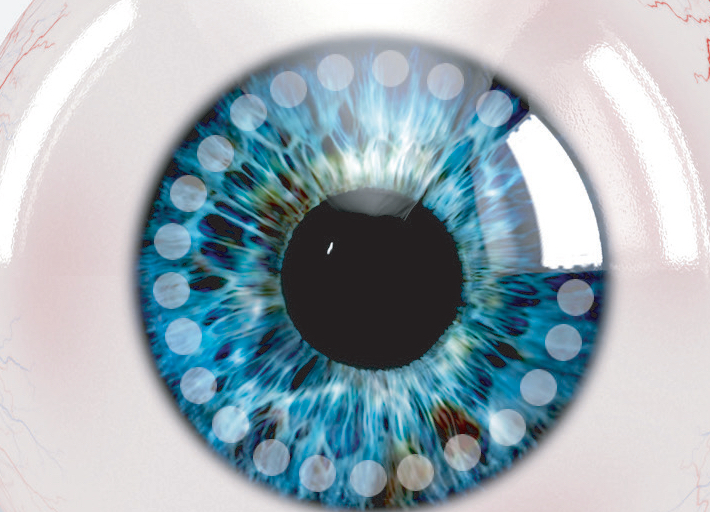 A contact lens is placed on the eye and allows laser to be directed to the internal drainage pathway. The laser stimulates the natural maintenance systems in the eye to clean the accumulated debris and decrease eye pressure. SLT is safe, but like any procedure, does carry some risk. 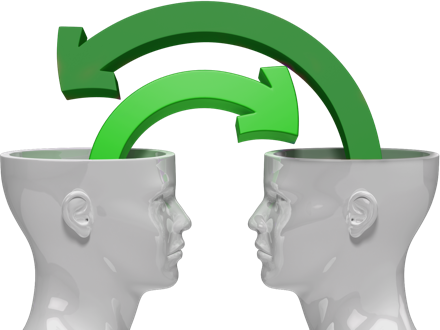 Dr Wright will discuss any risks and the cost of the procedure with you so that you can choose if SLT is right for you. Blockage of fluid within the eye causes pressure. The iStent can bypass this blockage and get you off your drops. Patients with glaucoma will likely develop cataracts at some stage. The development of cataracts provides an opportunity to improve pressure control, and in some cases, gain control of glaucoma without the need for drops. It has long been known that cataract surgery lowers the pressure and assists with the management of glaucoma. It is the treatment of choice for patients with angle closure glaucoma. Recent advances have led to the advent of ‘cataract plus’ procedures, or minimally invasive glaucoma surgeries (MIGS). These procedures offer a further pressure reduction in addition to the reduction achieved by cataract surgery alone. It has been estimated that iStent could help up to 80 per cent of patients cease the need for drops. The iStent is inserted into the natural drainage pathway of the eye and thus bypasses the blockage that is causing increased pressure. The iStent has proved to be a very safe and well tolerated procedure. Dr Wright at MCES is now performing this new operation. The two main types of drainage surgery are: Tube Surgery and Trabeculectomy. There has been a world-wide trend toward performing more tube surgery as results appear to be better in patients who have had a previous operation, such as cataract surgery. Dr Heathcote Wright will be able to advise you if drainage surgery is required and can inform you of the risks and benefits of each operation. Tube surgery involves the insertion of a silicone tube into the eye. 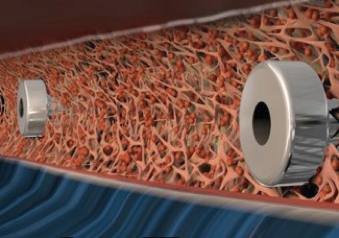 Fluid drains through this tube to a reservoir placed under the skin of the eye behind the upper lid. The only effective treatment for glaucoma is to reduce the pressure to a safe level. Every patient has a safe pressure at which their glaucoma will progress sufficiently slowly to not impact their vision within their expected lifetime. 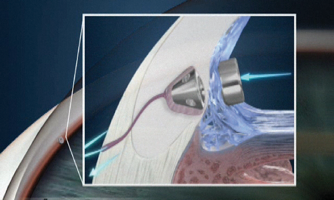 In most cases, pressure can be controlled with laser, drops, or ‘cataract plusʼ surgery. In a small proportion of patients with glaucoma, drainage surgery is required to control the pressure. Tube surgery may be more effective and safer than trabeculectomy surgery. Tubes may control the pressure for longer than trabeculectomy. The post-operative follow-up is normally less arduous. The rate of re-operation is also less than with trabeculectomy. Tube surgery is performed much less frequently than trabeculectomy in Australia, and therefore there is less experience with this type of surgery. 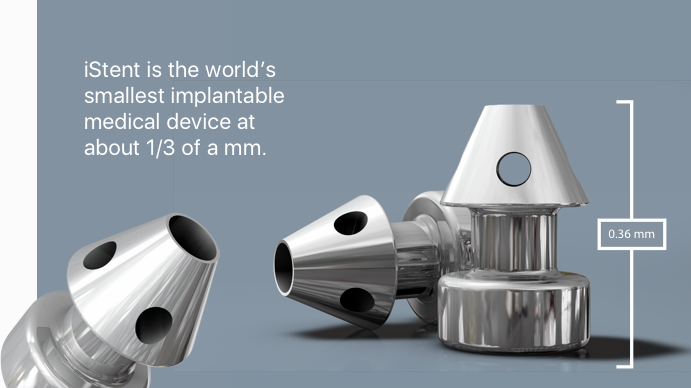 Tubes may not be suitable for achieving the very low pressures that some patients require. Tube surgery will not control the pressure for about six weeks after the surgery, limiting its use in patients with severe disease who need urgent control. Drainage surgery is inherently risky, but the chance of vision loss is small. The greatest risk is that the pressure either goes too low, or that it does not go low enough. Some patients will lose a small amount of their best vision in order to gain pressure control and preserve vision in the long term. The tube is tied with a dissolvable suture to allow healing. After six weeks the suture will dissolve and there may be a dramatic drop in pressure. Until the suture dissolves it may be necessary to continue your current drops. Some patients with more advanced disease may need to take tablets to control the pressure in the short term. week 6–7 after suture breaks. Further follow-up will depend on your clinical situation, and more visits may be required. Trabeculectomy involves creation of a fistula from the inside of the eye through the sclera to a drainage reservoir, or bleb, under the skin of the eye. Tube surgery may be more effective and safer than trabeculectomy surgery. Tubes may control the pressure for longer than trabeculectomy. Tube surgery is performed much less frequently than trabeculectomy in Australia, and therefore there is less experience with this type of surgery. Tubes may not be suitable for achieving the very low pressures that some patients require. Tube surgery will not control the pressure for about six weeks after the surgery, limiting its use in patients with severe disease who need urgent control. The body will try to heal the hole we make in the eye. If the body heals too much, the pressure will not come down enough. If the body does not heal enough, then the pressure may be too low. Many patients will need to be reviewed every week for up to three months. On average patients will require one or two procedures to fine-tune the bleb. every 1–2 weeks thereafter until the pressure is stable and the bleb looks healthy. Plateau iris is often under-diagnosed. It is related to angle closure, and occurs when the iris has an abnormal shape that pushes the peripheral iris into contact with the drainage pathway. 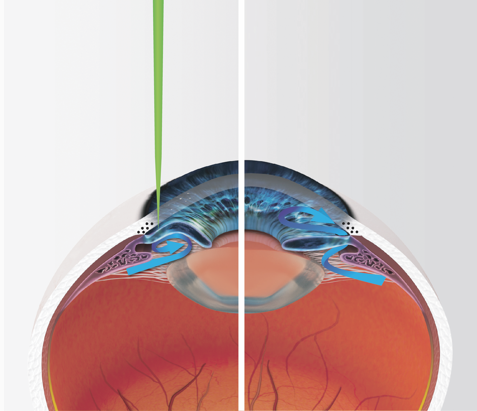 Aqueous is produced behind the iris and flows through the pupil to nourish the front of the eye. It then drains through the angle where the sclera, cornea and iris meet. 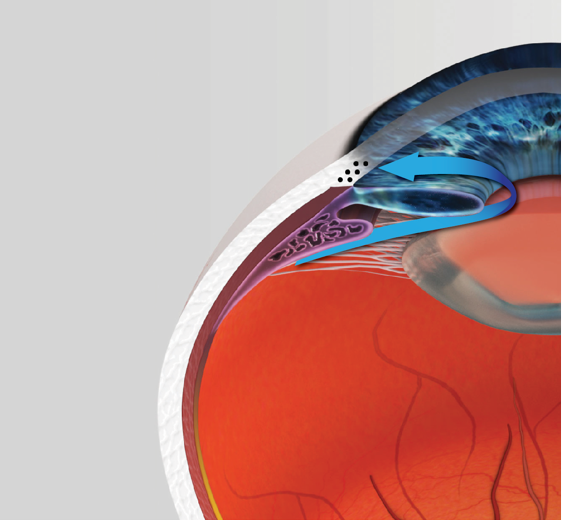 The most common abnormality of aqueous flow is angle closure, where the fluid encounters a relative obstruction where the iris contacts the lens. Angle closure is treated by removing the lens (cataract surgery), or by bypassing the block with a laser peripheral (PI) iridotomy. If the angle does not open after laser PI, then it is vital to determine why. The most common cause is plateau iris. In this condition the iris has a high rise or plateau adjacent to the drainage pathway. This abnormal shape holds the iris next to the drainage pathway. A degree of pupil block or dilation can push the iris into the drainage pathway. Over the years this may decrease the function of the drainage pathway and cause an increase in the pressure. 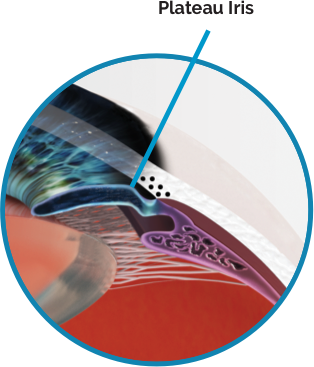 The definitive treatment for plateau iris is to remove the lens (cataract surgery). However, in some cases, this may not be the best clinical course of action. Laser peripheral iridoplasty (LPI) may be an excellent treatment option in some patients. LPI involves making small laser burns in a ring around the peripheral iris. A small amount of scarring and contraction occurs at each laser burn and pulls the iris away from the drainage pathway. Glaucoma is an insidious disease that has been described as the sneak thief of sight. It is not possible for patients to monitor their own symptoms because by the time it is possible to notice the visual field defect, your glaucoma will be very advanced. Glaucoma must be monitored with high-tech equipment that is only available from your ophthalmologist and optometrist. Patients never report tunnel vision, like the picture here, as is commonly believed. Remarkable advances in medicine over the last few decades have meant that most patients with glaucoma will never have a visually significant problem from the disease. However, many will require specialised treatment. It is very difficult to determine who will progress to vision problems and who will remain stable. This means patients need to be monitored every 6–12 months, and often for decades. 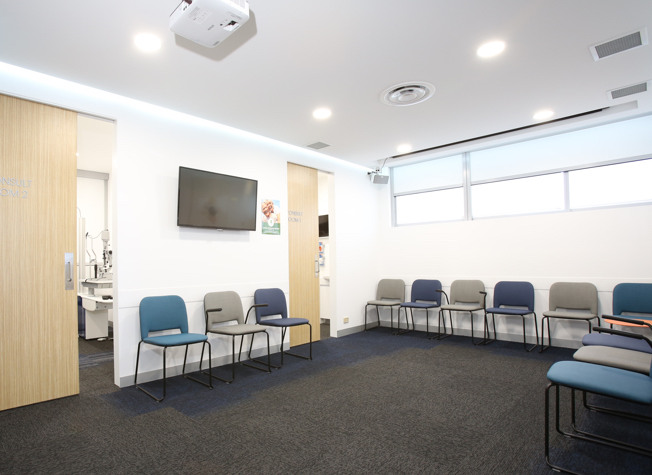 Traditionally, many patients have been monitored by their ophthalmologist or by specialist eye clinics in public hospitals. However, this may not be the best use of highly trained specialists. It is becoming increasingly common for optometrists to monitor glaucoma patients in tandem with an ophthalmologist. Your clinical information, diagnosis and management plan, including all the high-tech diagnostic images, will be uploaded to a secure web portal. Your treating optometrist will be able to access your clinical information and upload further clinical data each time you are reviewed. Optometrists will make an interim management decision that will be remotely reviewed by Dr Wright to make sure there are no subtle signs your glaucoma is progressing. 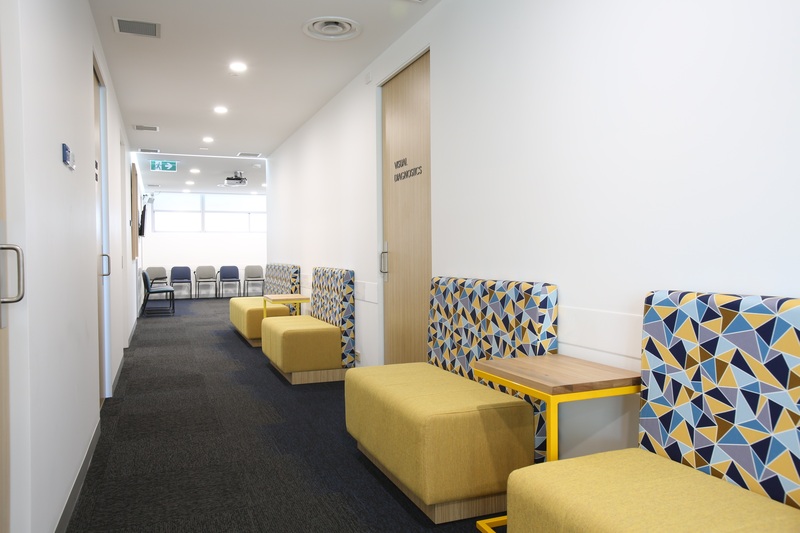 A variety of treatments are available for patients with glaucoma are available within the rooms at Melbourne Comprehensive Eye Surgeons. Selective Laser Trabeculoplasty (SLT) is a very safe treatment that can effectively be used to drop the eye pressure without the inconvenience of drops. Peripheral Iridotmoy: is a procedure that used to affect the flow of fluid within the front part of the eye. It is primarily used as a treatment option in the angle closure form of glaucoma. Peripheral Laser iridoplasty: is an uncommonly used procedure that may be needed to treat patients with plateau iris syndrome, a variant of angle closure. 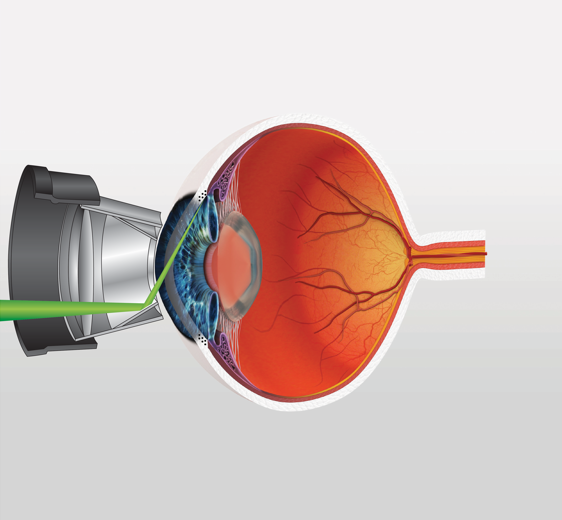 Cyclodiode is a powerful laser that is generally used to drop the pressure in the eye in very advanced cases of glaucoma. Cyclodiode laser is performed in a day surgery facility or hospital. Traditional incisional surgery is becoming less commonly required as a treatment option for glaucoma. Increased use of laser treatments such as Selective Laser Trabeculoplasty and improvements in drops have meant that more patients can achieve pressure control with conservative measures. Minimally invasive glaucoma surgery is generally now attempted before a traditional incisional surgery and the success of these procedures as further reduced the need for more risky surgery. The two main types of incisional surgery are: tube surgery and trabeculectomy. There has been a worldwide trend toward performing more tube surgery as results appear to be better in patients who have had a previous operation, such as cataract surgery. Dr Heathcote Wright will be able to advise you if surgery is required and can inform you of the risks and benefits of each option. Glaucoma is a very common condition and fortunately, with modern treatment, most patients will never have a visually problem. 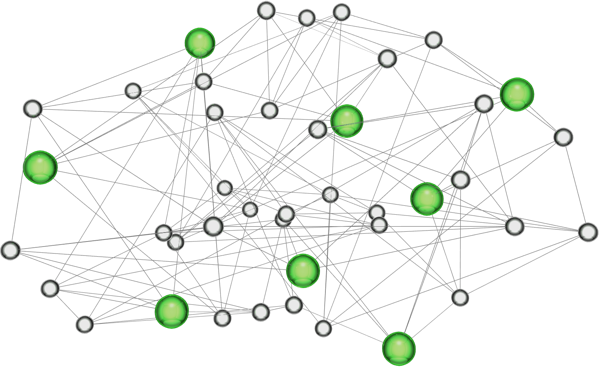 The difficulty is knowing who is going to have a problem, this has proven hard to predict. Many countries are now turning to a model of care where the ophthalmologist and optometrist work together to manage and monitor patients with glaucoma. 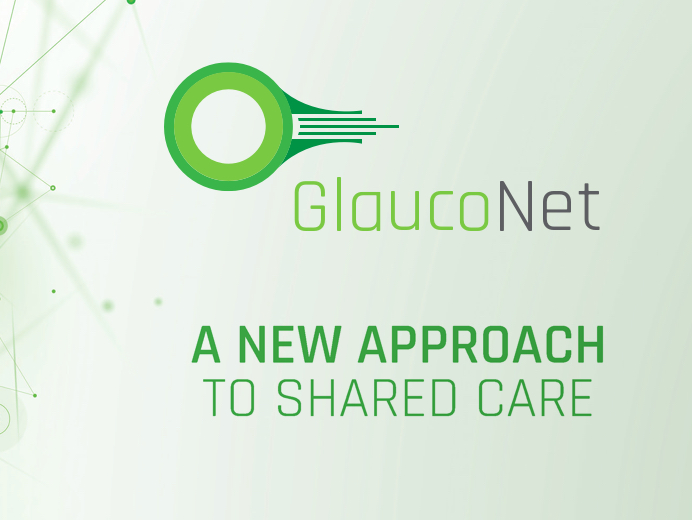 Dr Heathcote Wright has developed a web-based electronic medical record called, Glauconet, that facilitates collaboration between your optometrist and ophthalmologist to more effectively manage your condition. Glaucoma is a disease of the optic nerve that causes gradual, often imperceptible, loss of vision over a long period of time. Damage can never by restored but further loss of vision can be slowed by decreasing the pressure in the eye. The retina at the back of the eye has 120 million photosensitive cells that can detect light. These cells create electrical impulses that are transmitted to the brain where they are decoded to provide us with the image we perceive. The optic nerve consists of a bundle of more than one million nerve fibres. Damage to this structure prevents the brain from receiving impulses and a clear image cannot be perceived. Does increased eye pressure mean that I have or will develop glaucoma? Elevated eye pressure is simply a risk factor for developing glaucoma. Much the same as having high blood pressure is a risk factor for having a heart attack. Most people with elevated eye pressure don’t have glaucoma and most will not develop glaucoma within the next 5-10 years. Just like most people with elevated blood pressure are not currently having a heart attack. A particular level of eye pressure may be too high for someone and completely normal for another person. It is important to be seen by an ophthalmologist who specialises in glaucoma to determine if your eye pressure is OK for you or if it places you at a higher risk of losing vision from glaucoma. A diagnosis of glaucoma is only made once damage to the optic nerve has occurred. Many patients with glaucoma don’t have a high eye pressure. Many patients have elevated eye pressure but no nerve damage; such patients are said to have ocular hypertension – not glaucoma. Can I get glaucoma without ever having an elevated eye pressure? It is common to have glaucoma without ever having an elevated eye pressure. This is called normal-tension glaucoma and may account for as much as 50% of all cases of glaucoma. Normal tensions glaucoma is thought to be more related to poor blood flow to the optic nerve than pressure and treatment can be different. How can I protect myself from glaucoma? Glaucoma causes irreversible vision loss. Therefore, it’s important to detect glaucoma early in the disease process. Once you notice you have lost vision it is generally too late and you will almost certainly not be legally allowed to drive. To detect glaucoma early it is vital that everyone over the age of 40 who is in a high-risk group should have an eye examination every year. Anyone who is not at risk should have a routine eye examination with their local optometrist every 5 years. What can I do if I have already lost vision? The good news is that for the vast majority of patients who are diagnosed early you will never notice the small amount of vision you lose from glaucoma. This is due to the excellent treatment option that is now available to patients. Even patients with advanced disease will likely retain good reading vision, however, most will not be able to drive a car legally. Unfortunately, damage cannot be restored but it remains especially important to retain what vision is left. Low-vision services and devices are available to make the most of your remaining vision. Help can be obtained through Vision Australia. I have glaucoma should I tell anyone? You should tell all your first-degree relatives that you have glaucoma and that they should get their eyes checked. First degree relatives include: brothers, sisters, parents and children. If you have glaucoma your first-degree relatives are 8 times more likely than normal to have or get glaucoma. 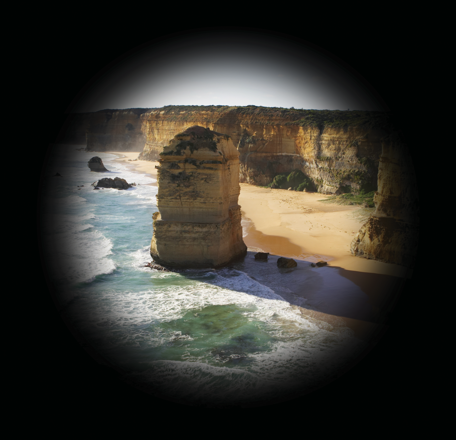 Dr Heathcote Wright is the glaucoma specialist at Melbourne Comprehensive Eye Surgeons. He is happy to provide a second opinion regardless of if you have recently been diagnosed with glaucoma or if you have been a long-time user of glaucoma drops. How much will my glaucoma care cost? 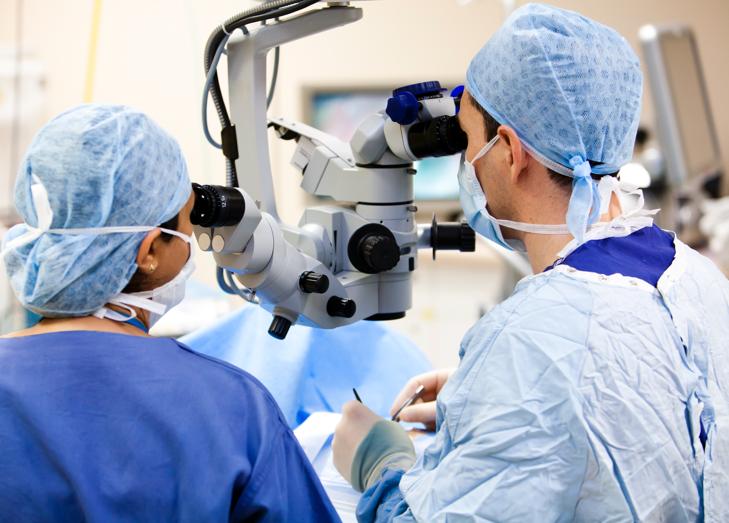 At Melbourne Comprehensive Eye Surgeons, we provide high quality care at an affordable price. A glaucoma package includes all tests, investigations and procedures conducted at the initial visit . 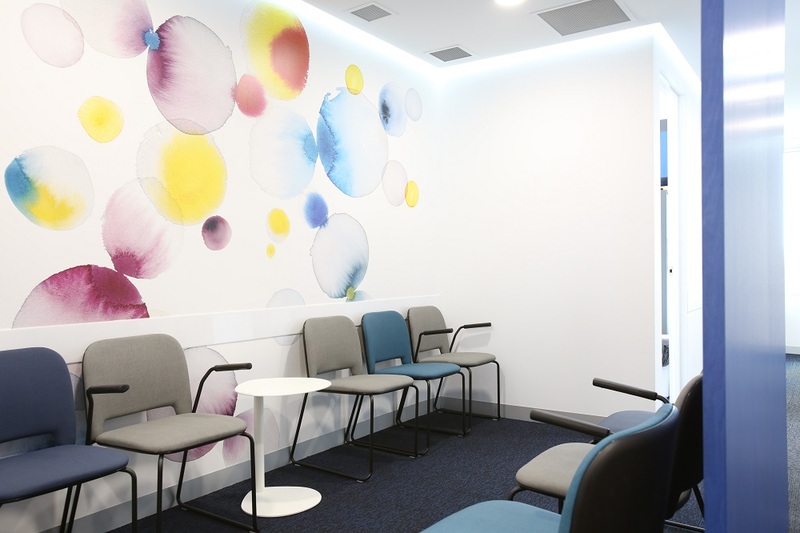 There is an additional cost for some laser and surgical procedures- these are never performed on the day of the initial consultation and if required you will be given a detailed description of any costs. Modern glaucoma care is very effective and the vast majority of patients with glaucoma who remain in care never notice their disease. Treatment options include: laser, medications and surgery. MIGS or micro-invasive glaucoma surgery are a group of new surgical procedures, often performed in conjunction with cataract surgery that have proven to be highly efficient at controlling glaucoma in many patients without the risk or conventional surgery and the side-effects of drops. Dr Heathcote Wright performs both the iStent inject and CyPass procedures. The cause of glaucoma is not known. Elevated eye pressure plays an important role. Genetics and age are also important. In some patients having a very low blood pressure overnight or excessive snoring, as occurs in obstructive sleep apnea, can be important. Glaucoma most frequently occurs in individuals over the age of 40. In some families, the disease is hereditary. By 2020 it is thought that 450, 000 Australians will have glaucoma or Ocular Hypertension making it one of the more common diseases. This number will increase with our ageing population. Regular eye examinations with your optometrists after the age of 40 are important to make sure you detect glaucoma early before it harms your vision. If diagnosed at an early stage, glaucoma can often be controlled with little or no further vision loss. If left untreated, first peripheral vision and then central vision will be affected, and blindness may result. Late detection is the biggest risk factor for going blind from glaucoma. There are no symptoms of glaucoma, it is often called the sneak thief of sight. By the time you notice that you have lost vision you will have very advanced disease and your prognosis is not good. Regular Eye examinations with your optometrists after the age of 40 are important to make sure you detect glaucoma early before it harms your vision. If you are at risk of glaucoma or over 40 your optometrist will check the health of the optic nerve and measure your field of vision. If they are concerned that you may have glaucoma they can refer you to see Dr Heathcote Wright at Melbourne Comprehensive Eye Surgeons. Will my vision be restored after treatment for glaucoma? Unfortunately, any vision lost as a result of glaucoma cannot be restored. Low-vision rehabilitation services can be provided by Vision Australia , which include the use of specialized optical devices and training. Regular Eye examinations with your optometrists after the age of 40 are important to make sure you detect glaucoma early before it harms your vision. No, but early detection and treatment can control glaucoma and reduce the chances of vision loss. Regular Eye examinations with your optometrists after the age of 40 are important to make sure you detect glaucoma early before it harms your vision.